Port Lions is one of the six surrounding villages located in the Kodiak Archipelago and home to more than 197 residents. Island Air Service has been flying to this location for over 30 years. Island Air offers scheduled service and the ability to charter one of our 11 aircraft if the schedule does not fit your needs. Port Lions is located on the north end of Kodiak Island in Settler cove off Kuzhuyak Bay. 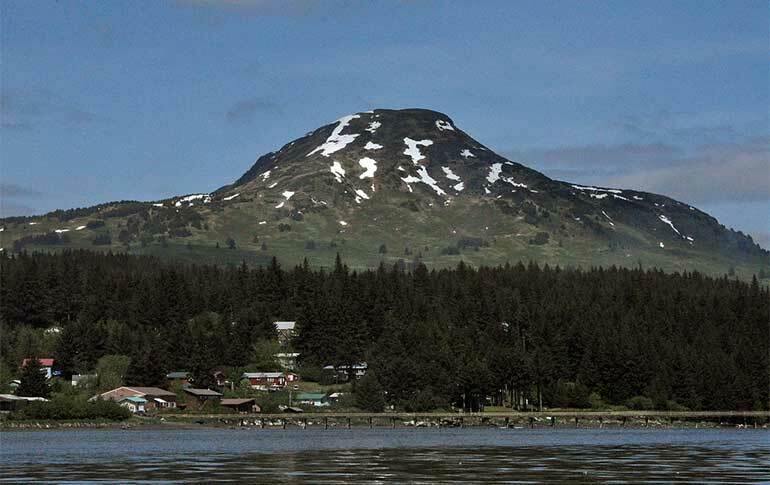 Approximately 19 miles from the city of Kodiak, Port Lions is surrounded by Sitka spruce, birch, alder, and willow trees that cover mountainous terrain. Ferry service is provided from Homer to Port Lions year-round by the Alaska Marine Highway System. For over 7,500 years, the Alutiiq people have inhabited the Kodiak archipelago. The original descendants of Port Lions lived across from Kizhuyak Bay on Afognak Island in Afognak Village, also known as Ag’waneq in Alutiiq. The people of Ag’waneq led a subsistence lifestyle hunting and fishing. The residents of Afognak Village and Port Wakefield formed Port Lions after the 1964 tsunami. With the help of the Lions Club International the survivors rebuilt their community in the present-day location, renaming the village Port Lions. The Wakefield Cannery moved along with the residents of Port Wakefield in the aftermath of the tsunami. A causeway was built to access the cannery from the village. In March 1975 the cannery burnt to the ground eliminating the main source of employment for the residents of Port Lions. Notable attractions in Port Lions include the causeway, providing foot and bike access across Settler’s Cove. Port Lions has stunning waterfalls tucked away in nearby coves and the best wild life viewing for marine life. Some of the richest fishing in Alaska is in the surrounding water between Kodiak, Afognak, and Raspberry Islands. Island Air Service provides daily transportation to and from the village of Port Lions. Enjoy the fishing, wildlife, and beautiful scenery when traveling to Port Lions. We welcome you to join our flights to this area for a unique opportunity and memorable experience.